Everywhere we go in Belgium, there are roadworks: on the motorway, on the main roads, in pedestrian precincts. Highway diversions confuse the satnav; footpath blockades trip us up. One of the first Belgian towns that we stop in on our motorhome journey to Luxembourg is Mons, known as Bergen to Flemish speakers. 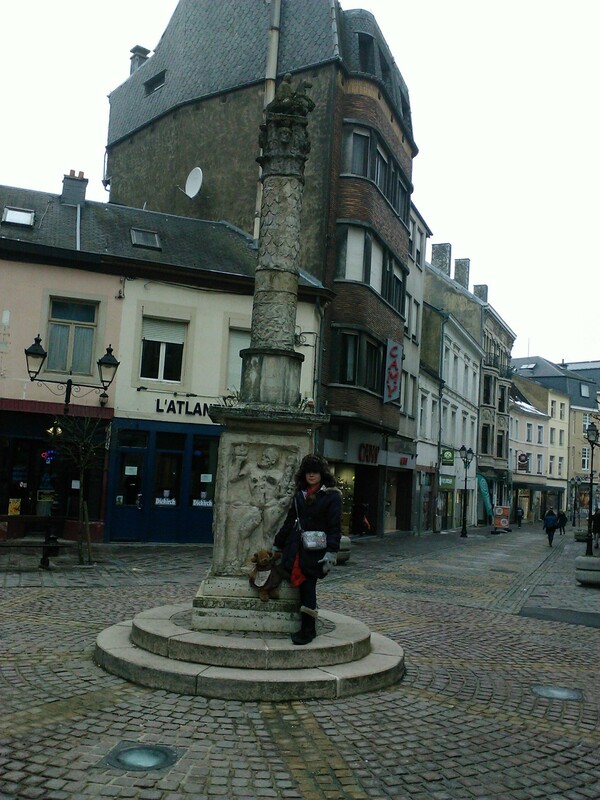 Mons has recently been designated the 2015 European City of Culture. The local council wants to ensure that when the time comes, this ancient city will live up to scuh honour. Disruption at every turn is a small price to pay. 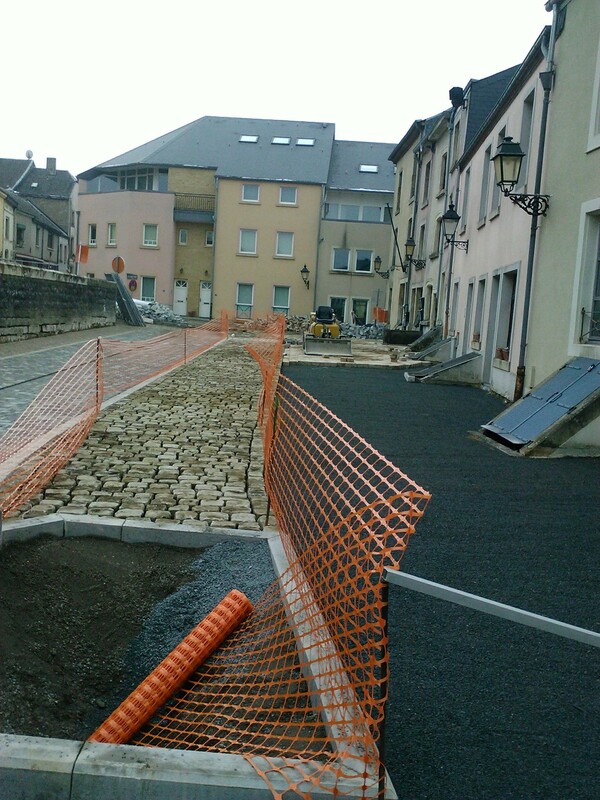 Cobblestones are being lifted and relaid, walls rebuilt, roads resurfaced. 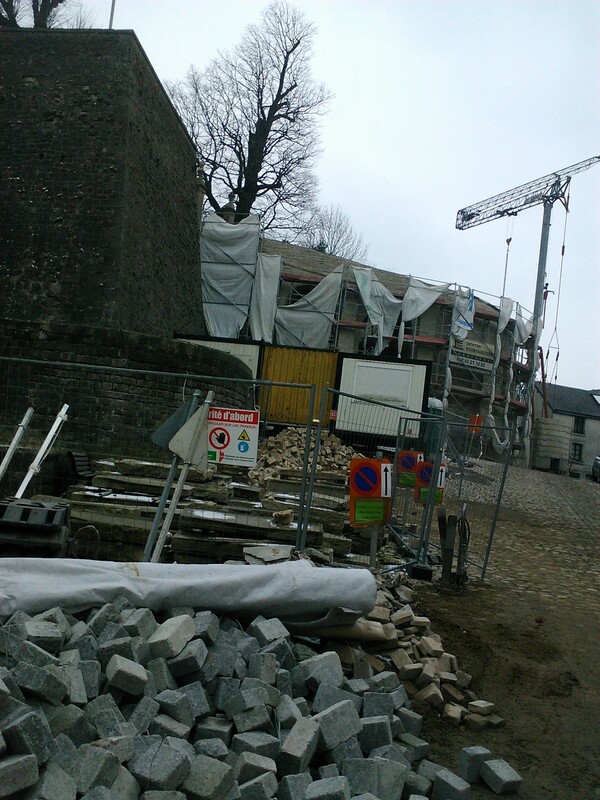 We teeter across roadworks on temporary planking between piles of sand and stone, only to find, to our disappointment, that Mons’ greatest tourist attraction is closed for repair. Oh well, we console ourselves, we’ll be going to plenty of other places in Belgium, and we move swiftly on. What is it with these Belgians? Why the apparent national obsession with rebuilding? And then it dawns on me. Until recently, Belgium has been without a government for an extraordinary length of time – 541 days, to be exact. During this interregnum, the daily life of the country apparently ran more smoothly. Presumably that included the granting of planning applications, the bane of any builder’s life in Britain. No government? This could be just what we need to get our potholes mended: let’s overthrow ours today! Well, at least it would give the political pundits something to talk about other than Margaret Thatcher’s funeral.